To ensure the quality, reliability, and resale value of your Volkswagen vehicle, trust the team at Myers Volkswagen and its extensive Volkswagen Original Parts department. At Myers Volkswagen, we have the original Volkswagen part you're looking for, or we can order it directly from Volkswagen and notify you when it arrives. At Myers Volkswagen, we only use Volkswagen Original Parts for all our repairs. That's why we have plenty on hand for customers who want to do their own repairs or need a new battery, for example. Volkswagen Original Parts are designed specifically for your VW vehicle and there are no other parts that offer the same performance or level of reliability. In addition, at Myers Volkswagen, we can install the part for you or help you choose the part you need. 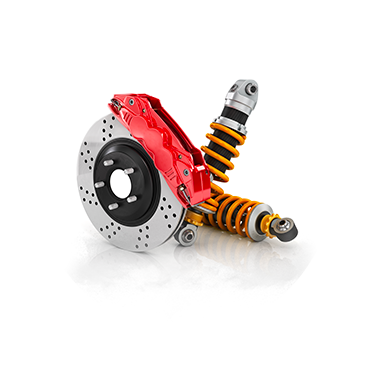 Made in Germany, our parts are built to last and come with a 2 year / Unlimited km limited warranty. No matter what you are looking for in terms of Volkswagen Original Parts, we can help you find it today at Myers Volkswagen in Kanata. A limited warranty of 2 years, with no km limit, applies when parts are ordered and installed after the purchase or lease of your vehicle. Offers are subject to change or cancellation without notice. See your Volkswagen dealer for full details. “Volkswagen” and the Volkswagen logo are registered trademarks of Volkswagen AG. © 2018 Volkswagen Canada.